One venue for these fascinating discussions is the Munk Debates, where four prominent speakers debating the merits and drawbacks of increase taxation for the most wealthy citizens. 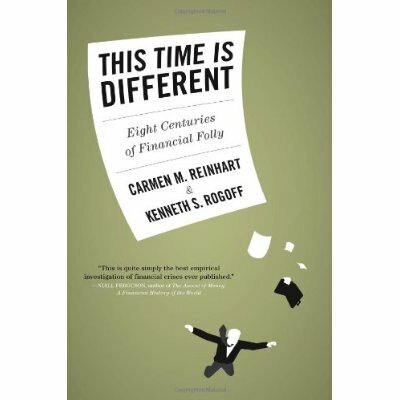 Another heated discussion is the debate on the merits and accuracy of the research and work of Carmen Reinhart and Kenneth Rogoff best reflected in their book ‘This Time is Different: eight centuries of financial folly’ (which was profiled in a April 2011 blog). Their work was challenged by a graduate student (it is always those pesky grad students) and found that some data points were missing which skewed the conclusion that excessive debt leads to slow economic growth. Alan Blinder, After the music stopped: the financial crisis, the response and the work ahead. Bethany McLean and Joe Nocera,All the devils are here: the hidden history of the financial crisis. Gretchen Morgenson and Joshua Rosner, Reckless endangerment, how outsized ambition, greed and corruption led to economic armageddon. Neil Irwin, The alchemists: three central bankers and a world on fire. Since there are so many approaches to the topic and, more importantly, different takes on who’s to blame, here’s a short list of some of the ‘best’ titles. This time is different: eight centuries of financial folly, by Carmen M. Reinhart and Kenneth S. Rogoff. This book set the tone and standard by providing the best historical overview and taking us to where we are now. It is also the primary book that other ‘experts’ always refer to when they are debating the issue on radio or television. 13 bankers: the Wall Street takeover and the next financial meltdown, by Simon Johnson. The greatest trade ever: the behind-the-scenes story of how John Paulson defied Wall Street and made financial history, by Gregory Zuckerman. Profiles hedge-fund manager John (no relation to Henry below), who due to being an outsider in many ways within the tight-knit community saw the group think and herd mentality and acted on a once in a lifetime opportunity. A primer in thinking “outside the box,” if you will. 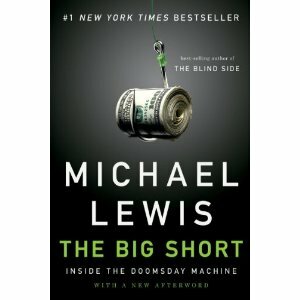 The big short: inside the doomsday machine, by Michael Lewis. Probably the most entertaining and personalized account. On the brink: inside the race to stop the collapse of the global financial system, by Henry M. Paulson. The insider-based account, with just a little bit of self-rationalization thrown in. A colossal failure of common sense: the inside story of the collapse of Lehman Brothers, by Lawrence G. McDonald. p.s. Some of these titles appeared earlier in our Business and Finance newsletter. If you’d like to hear about the latest business books available at the Library, subscribe & receive it in your inbox monthly.